Software utilities to support working with Digital View LCD controllers, some of the application are intended primarily for the display system or monitor developer, other applications such as the Bluetooth application are for the users of the finished display or monitor. Please contact us for any specific or custom requirements. This application can be used to control LCD controller functions via RS-232 using a GUI interface. There is an extensive feature set and this is an excellent way to set or experiment with controller functions. Custom version are available. » Designed for display & monitor developers. 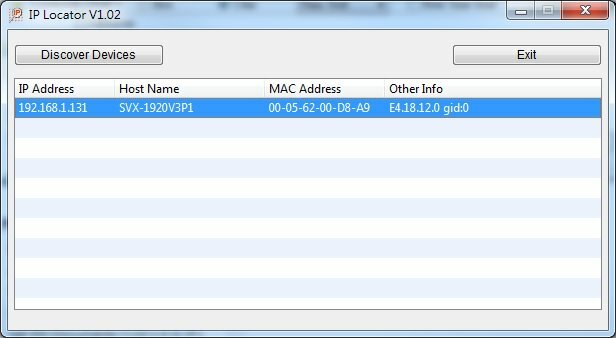 The Controller Utility works with Windows and supports RS-232 communication (for PC's with USB a USB to RS-232 converter can be used), it has a wholly graphical UI, users do not need to be familiar with commands, just click the button or icon to execute the OSD function. » V1.31 enables reset to default values without the option to maintain Hotkey settings. » The software only supports RS-232 communication. 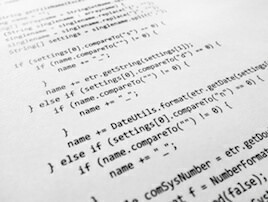 » Only executes a single function at a time. 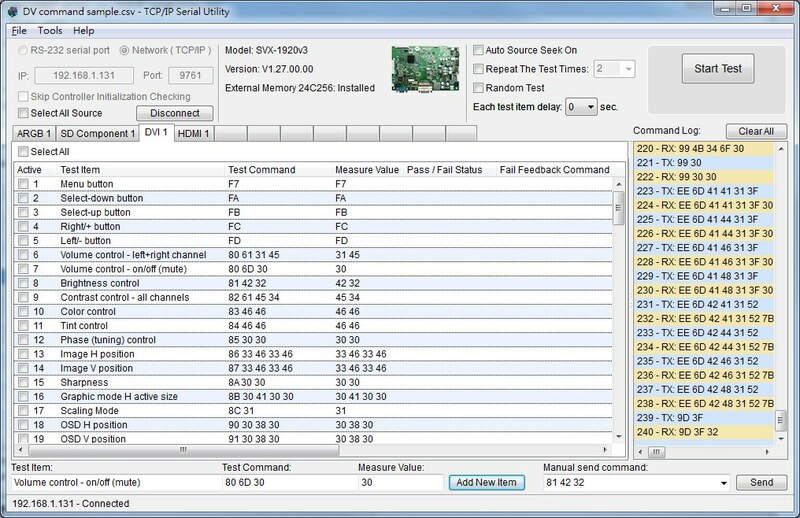 Intended for users that are comfortable using commands the TCP/IP Serial Utility provides a user interface for sending Digital View controller commands. This also includes functions for adjusting and setting the panel timing for certain controllers. » This is a line command UI. To use it the user needs to be familiar with entering commands in order to execute the OSD function. » The software supports both Network or RS-232 communication. 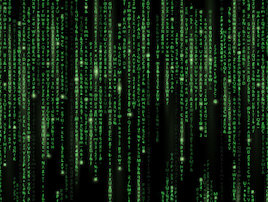 » Able to save and execute a batch (sequence) of commands. 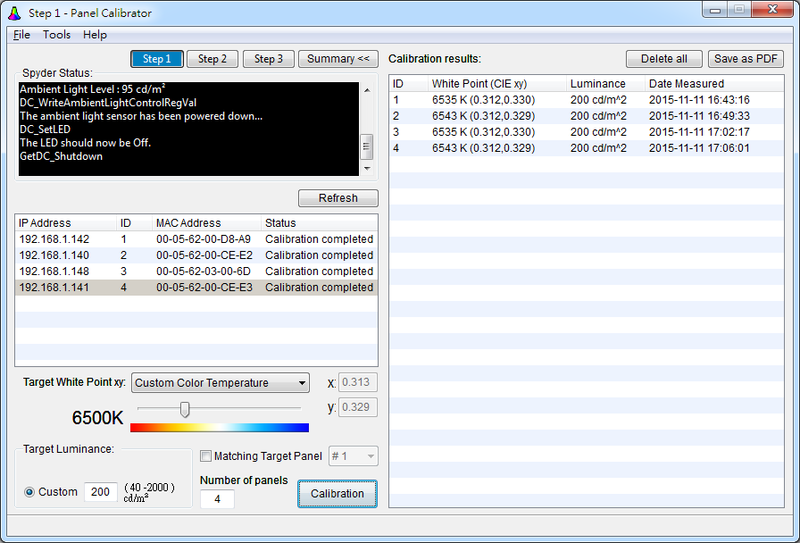 » Enables a user to detect LCD controllers / monitors on the network. 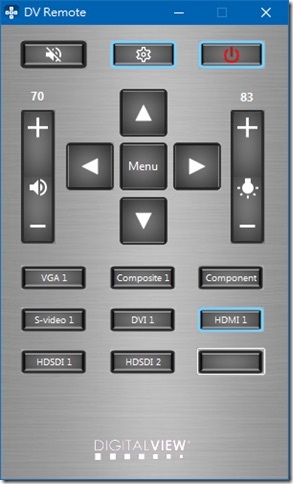 » Utility program to configure and setup a video wall when using SVX-4096-VW. » Utility program to color match video wall monitors. This requires the Spyder 5 colorimeter. 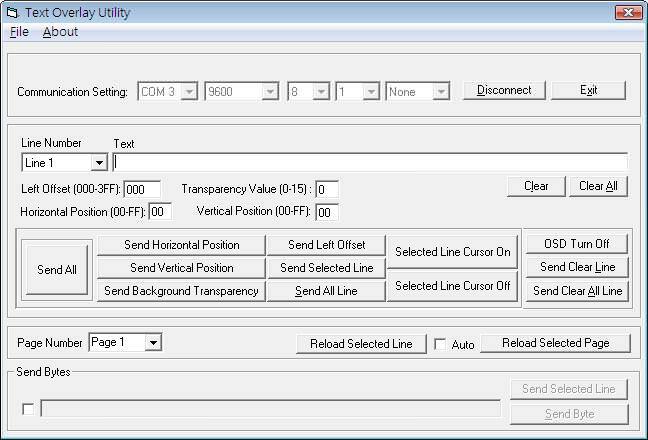 » Utility program to send text over serial for LCD controller supported text overlay functions. 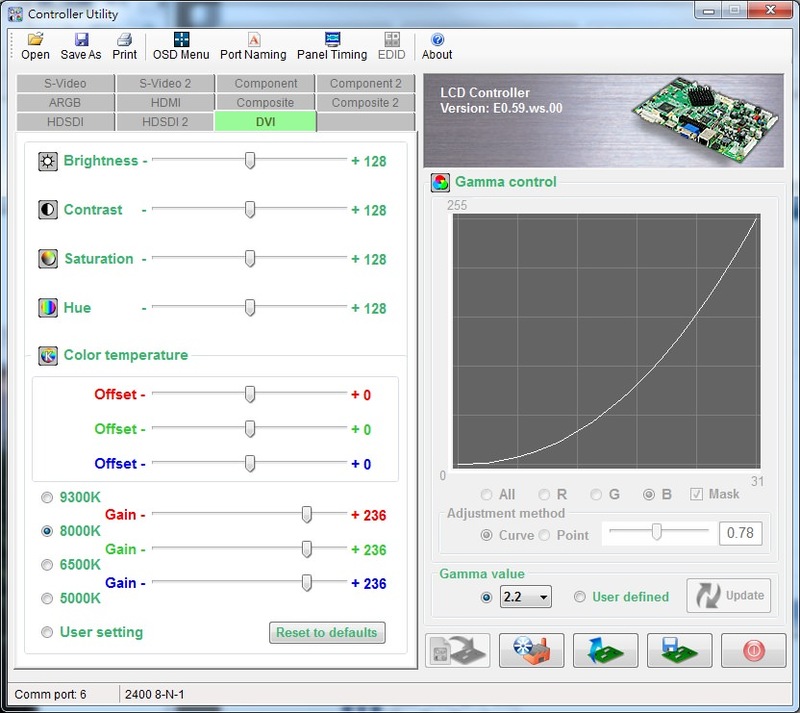 » Sample utilties to control backlight brightness with source code. Software utilities to support upgrading LCD controller firmware. Depending on the LCD controller model firmware upgrades can be done via USB, HDMI, Displayport, RS-232. Some models require and interface board. 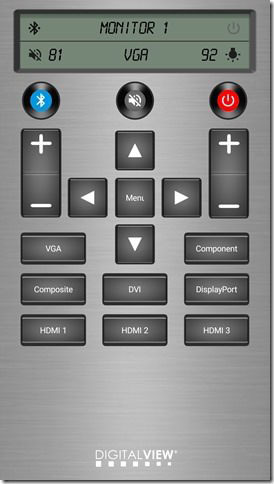 Control monitor functions using a Bluetooth enabled IOS or Android phone. » For more details including Bluetooth receiver and IOS and Android software see here. 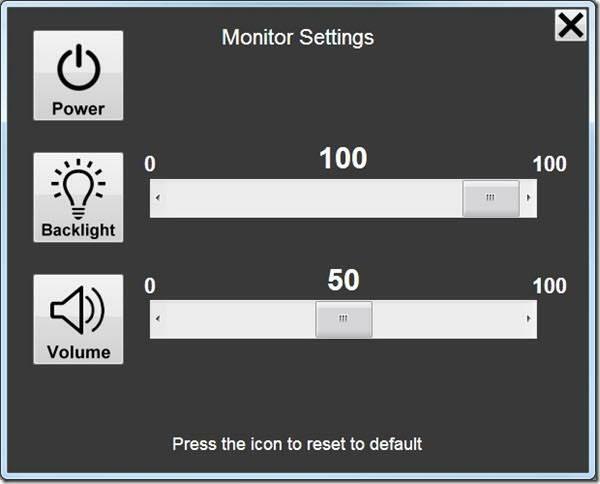 Control monitor functions using a Windows based app. 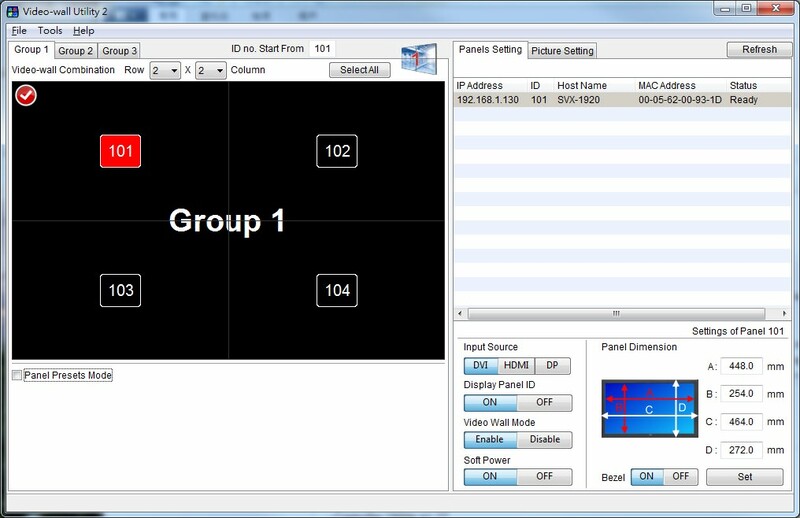 With this app you can control functions on your Digital View controller from a PC connected via RS-232 or Ethernet.